Coco’s Lanford is owned by Lorraine Foy. Lorraine has been a service provider since 1985 where she opened Cocos Childcare. She is passionate about providing a high standard of care, and as a mum Lorraine understands the needs of parents. The aim of Cocos is to provide a happy, caring and educationally based environment. Qualified Early Years Educators, Montessori teachers and Room Leaders provide a professional and secure environment for each child. Cocos prides themselves on creating an atmosphere that is relaxed and cosy. This crèche is designed to cater for children from 6 months to 5 years. We have a Baby/Wobbler room, a Toddler/pre-Montessori room and a Montessori classroom. 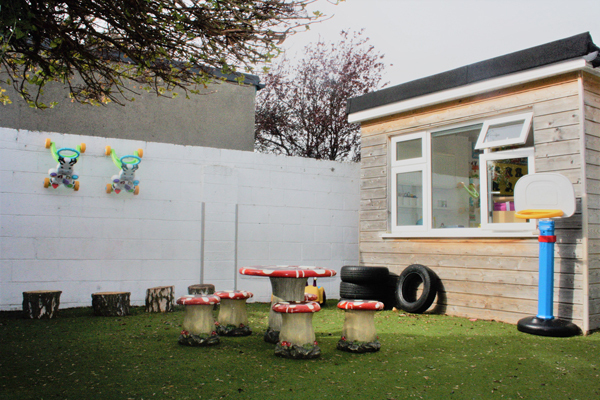 These rooms have individual staff and curriculum for the children, which are stimulating and centred around well-researched age group ranges, as well as child -led activities. The needs of the parents and guardians are always considered, and we do our utmost within the constraints of policies and guidelines to accommodate parental wishes. 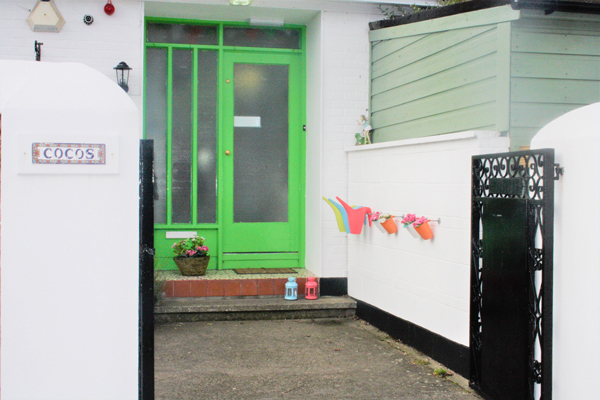 This crèche is situated in a quiet, residential area close to Blackrock village, with the Dart station and bus lines only a quick ten-minute walk away. There is a space to facilitate the storage of buggies for parents’ convenience and children’s bikes/scooters to store. Coco’s Lanford is managed by Sheena Clarke who has been in the Early Years industry since 2010. Sheena began her career in childcare by qualifying as a Montessori Teacher and later obtaining a Fetac Level 6 advanced certificate in supervision in Childcare. Sheena joined Cocos Lanford in 2011 as a Montessori assistant and gained a wide variety of experience by working in all areas the service. Sheena continues to further her studies in Early Years Education by studying a bachelors degree in early childhood education. The experience and knowledge Sheena have gained in both her professional career and studies have allowed her to organise a happy, caring and educational environment for all children. At Cocos Lanford, our curriculum is delivered through play, friendship and learning. We take great pride in creating and updating a curriculum that meets the needs of the children in our care. We all have different learning styles, and our team make sure that they teach the children in the way that they learn … one on one attention is given to each child to assure their needs and interests are catered for. Our curriculum includes daily, weekly and monthly themes that encourages the children to explore and learn about many topics including, the natural world, seasons, family, friendship, emotions as well as providing the core skills for future learning. We understand that the early years of a child’s life is an amazing time of growth and learning that serves as the foundation for future stages of development. We provide the right environment and experiences to meet these rapidly developing abilities. Our program emphasises the importance of positive, supportive interactions between our teachers and your child. Breakfast and a hot nutritious lunch will be provided; we request that you bring in additional snacks for your child. Our hot lunches are provided by ‘Little Dinners’ littledinners.ie. This is an Irish Company that cater for creches and schools and have a rotating four-week menu. You can view a standard menu here. A comprehensive set of policies and procedures are implemented at Coco’s Lanford. This information details the standard you can expect from us. Health and Safety is of utmost importance in our service and is instilled throughout the centre. We take reasonable steps to ensure that hazards to children on the premises, both inside and outside are minimised, and we are aware of, and comply with, Health and Safety Regulations. All our staff are trained to understand Health and Safety requirements for the environment in which they work. At Coco’s Lanford, we have named a Health and Safety representative. We endeavour to have all staff with a current First Aid training certificate (relevant to infants and young children) on the premises or on outing at any one time. Our premises and outside area are secure, and children are unable to leave them unsupervised. We have an effective system in place for managing access to the premises, ensuring the utmost safety of the children in our care.